When health is found at home and can come served with just a few basic appliances, then you know you have found the secret sauce to good health and happiness. Read ON! At the end of a tiring day, it can be difficult to go to the kitchen and motivate yourself to cook a nutritious and healthy meal. We have all been there. Most of the time, you pick up the phone and order a box of pizza or check your kitchen cabinet for pre-packaged food. And this is where your healthy diet can start slipping out. By preparing your meals, you will have more control over the ingredients that go into every serving. And if you have the right and convenient kitchen tools at your disposal, creating healthy meals is nothing but easy! Here are five of the must-have kitchen appliances that should help you make preparing healthy meals a lot easier and drop the take-out menu for good! An all-time favorite, the classic food blender has become a primary appliance for plant-based kitchens! 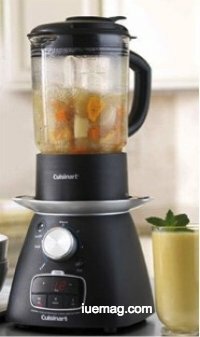 From soups, smoothies, to fruity ice cream, a quality and high-powered blender are probably one of the most versatile kitchen appliances you can have! Smoothies are the easiest way to up your raw vegetables and fruit intake. You can pair your favorite fruit with several iron-rich leafy greens such as romaine and spinach, blend them up and you will have a nutritious snack in no time! Some blender models also allow you to take whatever you blended on the go! 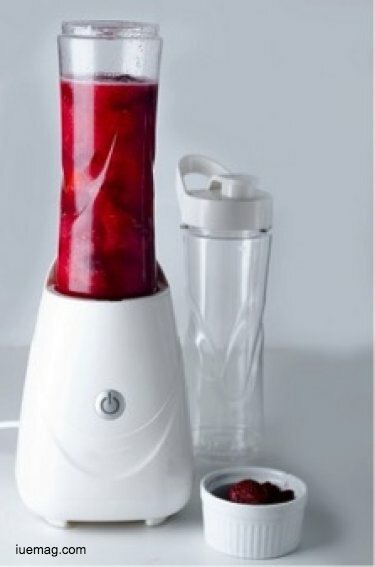 Whether you want a quick meal after hitting the gym or heading to work, blenders are pack well and do not require much fuss. Plus, you can also pop any extra into the fridge for later. An instant pot or a crock pot is another must-have appliance for healthy and convenient cooking. This small kitchen appliance are such a versatile multi-cooker than can do the job of a steamer, rice cooker, slow cooker, pressure cooker and more! You no longer have to wait around and standing over your stove while your dinner cooks. With an Instant Pot, all you need to do is to load in the veggies or meat, set the timer, and you are good to go and make time useful. You can cook healthy food to perfection whether it be a porridge, stew or a cake. Hearty and warm soups are the most popular meals during the winter season or if you are down with the flu! Some people add soups into their meals to up their vegetable and healthy meat intake. And although there are tinned and packet soups out there, they can be a bit expensive and unhealthy (in some ways). With some fantastic soup appliances, however, you only need to add the veggies or meat and stock, then push a button. Wait for a few minutes, and you will have a nutritious and great tasting soup and a single appliance to clean! If you want to make vegetables and fruits look like yummy pasta or noodles, then a spiralizer can make that step easier for you! Whether you want to make zucchini noodles or need to spiralize veggies and fruits to add to your healthy salad, a good spiralizer can keep your vegetable or fruit based meals interesting. What’s more is that spiralizer can’t only do raw foods— you can even use it when making oil-free hash browns! Spiralizers come in different varieties— from multiple to simple blade options that can suit your preparing needs. Need to preserve food? 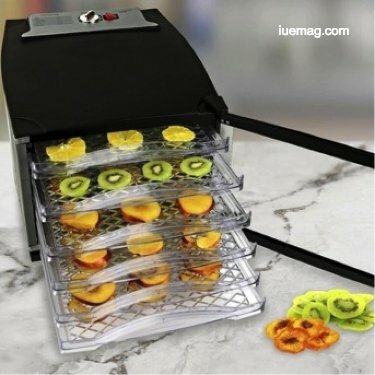 A food dehydrator will do the job for you! Granola bars, kale chips, seed crackers, dried veggies and fruits, and even vegan jerky can all be made in a high-quality dehydrator! Dehydrated foods can make a great snack for camping trips, day hikes or picnics. Heck, you can even go and make tasty desserts, raw vegan pizza, and onion rings! From the basic food dehydrator to the more expensive, higher-end models, you can find the food dehydrator for your needs!